For thirty years President Hosni Mubarak has ruled over Egypt. Recently, the call for democracy and free elections has grown rapidly among citizens. With the cost of living rising fast in the country at the center of the world, the people quickly lost faith in Mubarak and his government. With protests going on all week in Egypt resulting in violence and high levels of vandalism, the people made it clear that they wanted Mubarak to step down as President. However, Mubarak instead chose to ask his government to resign so he could bring in a new government. He promised the people a new government where democracy and people’s rights will be realized. Now the leaders of the free world are looking at Mubarak and demanding that he make good on his words. Angela Merkel, the Chancellor of Germany, Nicolas Sarkozy, the President of France, and David Cameron, the Prime Minister of England, came together to release a statement directed at Mubarak. P.J. Crowley of the United States State Department said on twitter that Mubarak can’t just change the personnel on his staff. He must change the way the government runs and bring about a “real reform.” By doing things how he is, the people are still protesting and the prospects of further violence are still higher than they should be. Obama also had a message for Mubarak. Obama spoke directly with the Egyptian President over the phone and told him to make good on his promises to his people and that “suppressing ideas never succeeds in making them go away,” and it is clear that the people of Egypt are no longer tolerant of the ideologies of Egypt’s current political system. Obama spoke with top advisors including Hilary Clinton and Joe Biden about the issue in Egypt on Saturday. 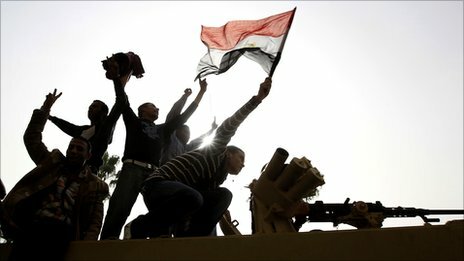 It is clear that Egypt is going through major pains on their path to modernize. It is also clear that the United States and the rest of the free world is here to help Egypt as it evolves. So, Mark. Who is the Prime Minister of Great Britain if David Cameron is the Prime Minister of England? Could it be Obama? Or maybe it’s Kevin Rudd! !